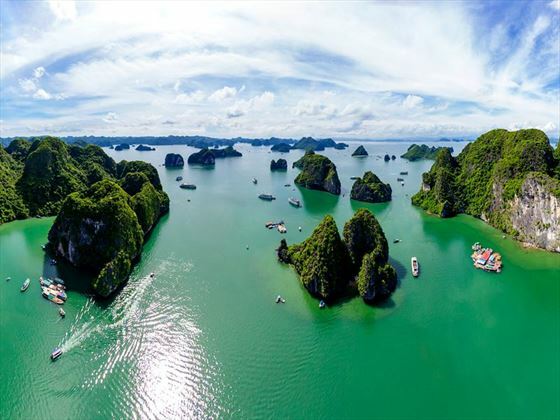 Journey through Vietnam on an exciting discovery, diving into the mysteries on this fascinating 12-day escorted tour taking you through the remarkable landscapes, exotic nature and rich culture. 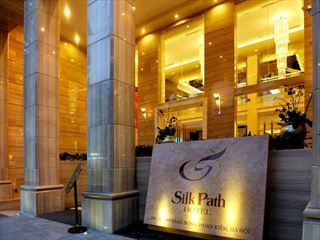 Sampling the delicious Vietnamese flavoursome cuisine along the way and stay in boutique style accommodation. 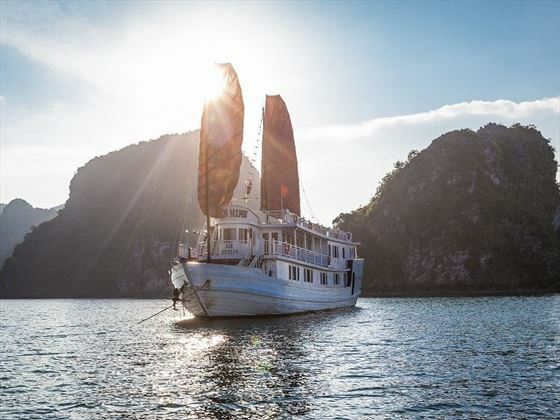 Enjoy an overnight cruise on Halong Bay, sample the night street markets & venture to the Cu Chi tunnels learning about Vietnam's interesting history. This is a small group tour with around 15 people on each departure. (BRT-BASVHO). Meet your group today and share a welcome Vietnamese dinner. Take a guided tour today visiting the Ho Chi Minh Mausoleum, Temple of literature and the Imperial Citadel of Thang Long. 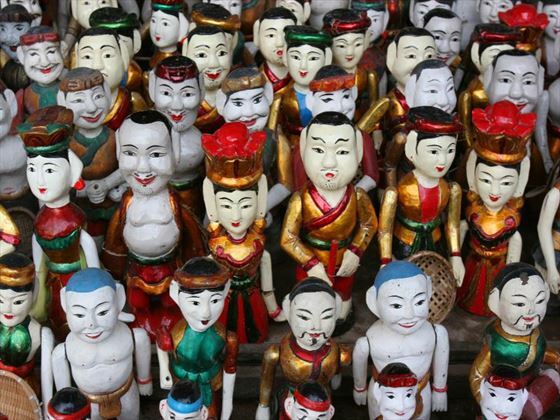 In the Old Quarter learn about the family producing papier mache masks. 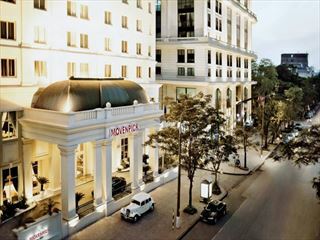 Enjoy Hanoi’s street food scene tonight sampling local delicacies. 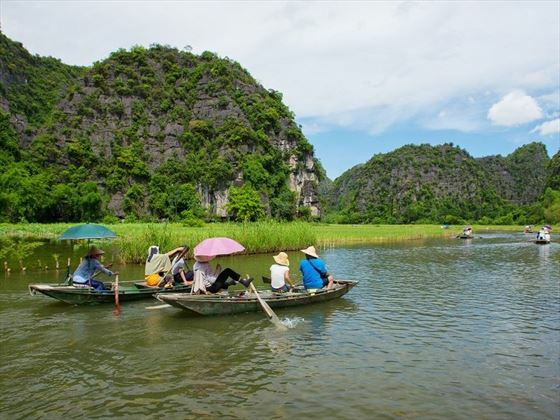 Travel to the Ninh Binh province today, taking a short boat ride through the Van Long Nature Reserve – surrounded by spectacular landscapes and rolling jungle hills. Enjoy a traditional lunch today learning how to cook the food with a local family before transferring to your hotel and enjoying the remainder of the day at leisure. Journey through rural and gorgeous scenery today over to Halong Bay to embark on the paddle steamer for an overnight cruise. Stop off at the Sung Sot Grotto along the way before returning to the boat for your evening meal. Enjoy a leisurely breakfast on board this morning. Later on disembark and fly over to the imperial city of Hue. Visit the Cham Museum before heading onwards along the Hai An Pass on our way to Hoi An. 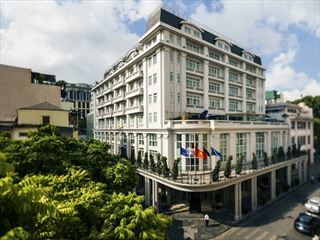 Enjoy a walking tour this afternoon before hopping on a boat trip along the Thu Bon River. Tonight flavoursome street food awaits for you to whet your taste buds. Put your skills to the test today as you learn the craft of coloured silk lanterns at the Lifestart Foundation, a local social enterprise. 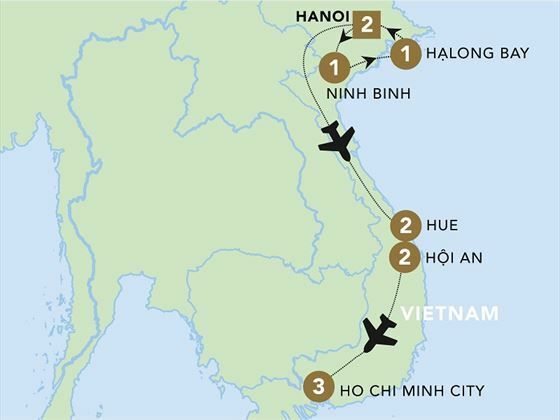 Take a morning flight to Ho Chi Minh today to explore the Cu Chi tunnels – a strategic operation during the Vietnam War. This evening you will go on a final street eats adventure tour. 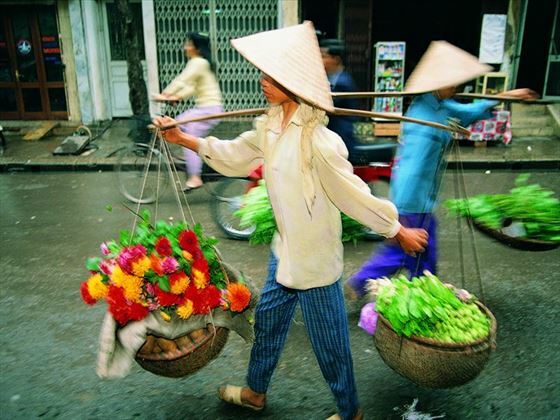 Take a flight to Ho Chi Minh today and on arrival visit the wonderful Opera House to see the magnificent cultural, Vietnamese performance - the A O. Tonight enjoy a culinary feast with your tour group. Hop on board a cyclo this morning in Cho Lon Chinatown and enjoy the Cha Tam Church and Chua Ong Pagoda views. You'll have the chance to see a traditional herbal medicine street and take home some of the herbal teas before visiting the Reunification Palace and enjoying a lunch at the Mandarine Restaurant. Later this afternoon is yours to enjoy at leisure. Today your tour ends. Transfer to the airport for your onwards flight.